The GBC ProClick Binding Machines make your reports stand out with this fast, easy binding style. 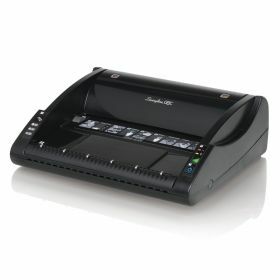 GBC ProClick® lets pages lie flat with 360° rotation for convenient note taking and photocopying, and it lets you easily add and remove sheets with a special editing tool. Choose from the desktop model GBC ProClick P50 for small presentation needs up to the GBC ProClick Pronto P3000 which will bind up to 450 books per hour. The GBC ProClick P50 Binding Machine is ideal for those who need to create professional presentations in a snap on an occasional basis. Perfect for home, classroom and small office use the GBC ProClick P50 will even fit into your briefcase or backpack! The GBC P110 ProClick Binding Machine is designed for the small office, home and classroom where professionally bound presentations, proposals and manuals need to be produced on an occasional basis. The GBC P110 ProClick creates reports in a snap! 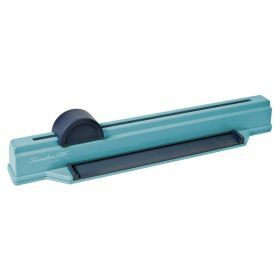 The GBC ProClick P210E Electric Punch Binding Machine is an ideal light and medium volume binding solution for your office or school. 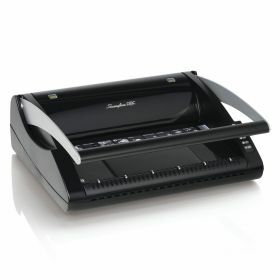 The GBC ProClick P210E includes a 15 sheet electric punch. Bind up to 100 sheets on a 5/8 inch GBC ProClick Spine. There are No Offers Available at the moment.